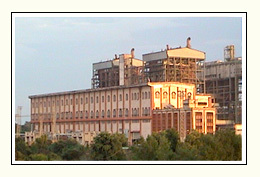 Odisha Power Generation Corporation Limited (OPGC) was incorporated on November 14, 1984. OPGC started as a wholly owned Government Company of the State of Odisha with the main objective of establishing, operating & maintaining large Thermal power generating stations. In the pursuit of its objective, OPGC established IB Thermal Power Station having two units of 210 MW each in the Ib valley area of Jharsuguda District in the State of Odisha. These Units have become operational since 1994 (1st Unit) and 1996 (2nd Unit) respectively. The entire generation from these units are committed to Gridco – the state owned Power Transmission & Trading Company on the basis of a long-term power purchase agreement. As a part of the reform in the energy sector of the state, 49% of the equity was divested in favour of a Private investor ( American Company) i.e. AES Corporation, USA in early 1999. OPGC with its present ownership structure is unique of its kind in the country and has excellent track record of plant performance and earnings. Today OPGC has firmly established its credentials as a successful power generating company both technically & commercially by providing safe, clean & reliable power.